The Association of Junior Leagues International reaches out to women of all races, religions and national origins who demonstrate an interest in and commitment to voluntarism. The Association of Junior Leagues International Inc., based in New York City, provides comprehensive consultation, training and other support services that help the leadership of the 293 Junior Leagues throughout the United States, Canada, Mexico, and Great Britain. 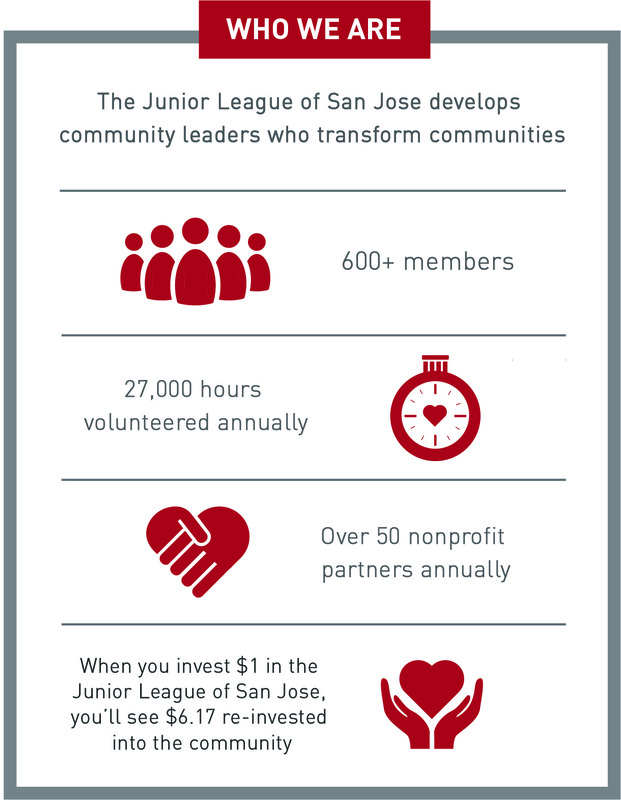 AJLI is governed by a 19-member Board of Directors, all of whom are members of the Junior League in their communities. The Board is accountable to the Leagues for the development of goals which enhance Leagues’ ability to fulfill the Junior League mission. The Board also ensures that AJLI provides services to Leagues that support established goals. AJLI is a 501(c) 3 not-for-profit organization. All of AJLI’s programs and activities are supported by membership dues, foundation and corporate grants and revenue-producing efforts. In 1901, Mary Harriman, a 19 year-old New York City debutante, forms the Junior League for the Promotion of Settlement Movements. Harriman mobilizes a group of 80 other young women (hence the name “Junior” League) to work to improve child health, nutrition, and literacy among immigrants living on the Lower East Side of Manhattan. In 1921, approximately 30 Junior Leagues create the Association of Junior Leagues of America (AJLA) to provide professional support to the Leagues. In 1971, the Association changes its name to the Association of Junior Leagues Inc (AJL). In 1985, the first Junior League outside North America, the Junior League of London, becomes a member of the Association. In 1988, the Association officially becomes the Association of Junior Leagues International Inc (AJLI) better reflecting the international scope of the member Leagues. In the 1990s, the Junior Leagues renew their dedication to the Junior League Mission. The Association’s Board adopts goals to guide and position the Association for its second century. The goals stress the importance of the Association in helping Junior Leagues develop women for community leadership, achieve a shared, positive identity and function as strong, viable and healthy organizations, consistent with the Junior League Mission. In 2002, AJLI launches the Junior League PR/Marketing Campaign, with the first brand logo and tagline, “Women Building Better Communities.” The Association’s Board of Directors also launches its “Healthy League Initiative,” a formal self-evaluation process designed to ensure that each League continues to achieve its full potential in its community by assessing its strengths and weaknesses. In 2006, 228 Leagues participate in the launch of The Junior Leagues’ Kids in the Kitchen, an initiative to address the problems associated with childhood obesity and poor nutrition. In the fall of that year, the Junior Leagues’ Kids in the Kitchen initiative continues for a second year with participation by over 255 Leagues. Visit www.ajli.org About AJLI/History for more of the story.